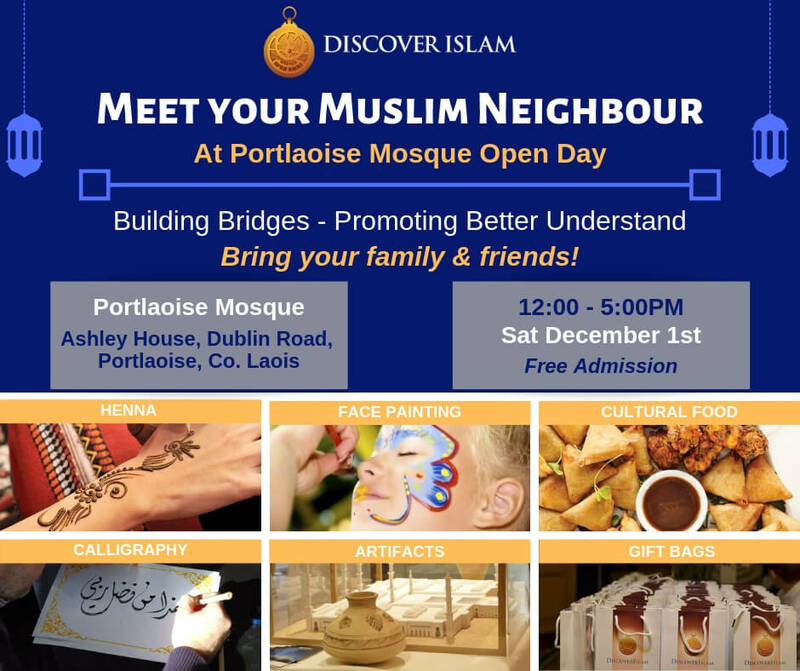 Portlaoise Mosque Open Day 2018. On December 1st, 2018 Portlaoise Mosque is opening doors for its neighbors and for the wider community to come and see the culture of Muslims and their faith. – Islamic Exhibition from Discover Islam. This is also an opportunity for people to come and ask the questions that they may have regarding Islam and Muslims. The open day will be complete with information, history, artworks, artifacts and literature about Islam and Muslims. There will also be short discussion forums where members of the public will be able to discuss and ask questions about Islam and Muslims. 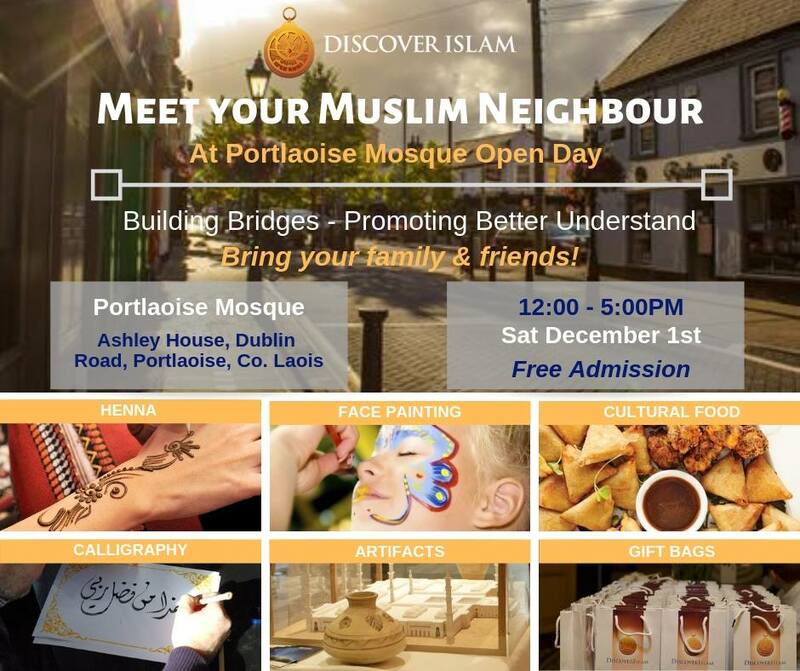 Check Portlaoise Mosque open day in 2016 video. Check the event on Facebook and Eventbrite websites.